Last month, Sprint released the Android 5.0 Lollipop for their Google Nexus 5, and now they are rolling out another version of Lollipop to keep the Google phone up to date. The version number of the update will be LRX22C and it will bring ‘Miscellaneous Android Updates’ to the Nexus 5. Sprint is rolling the update over-the-air, so it might take a few days in delivery. Although, keep checking for it and maybe it turns out to be your lucky day. Nexus 5 is an amazing device overall, and as Sprint is trying their best to keep the device up to date, it tells how much Sprint care about their customers and the high-end devices they are offering. 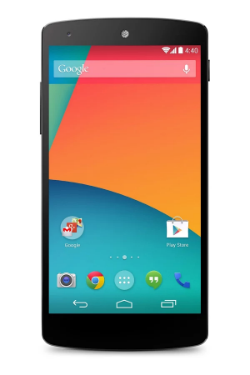 Are you using the Nexus 5? Did you get the update? Let us know in the comment box below.